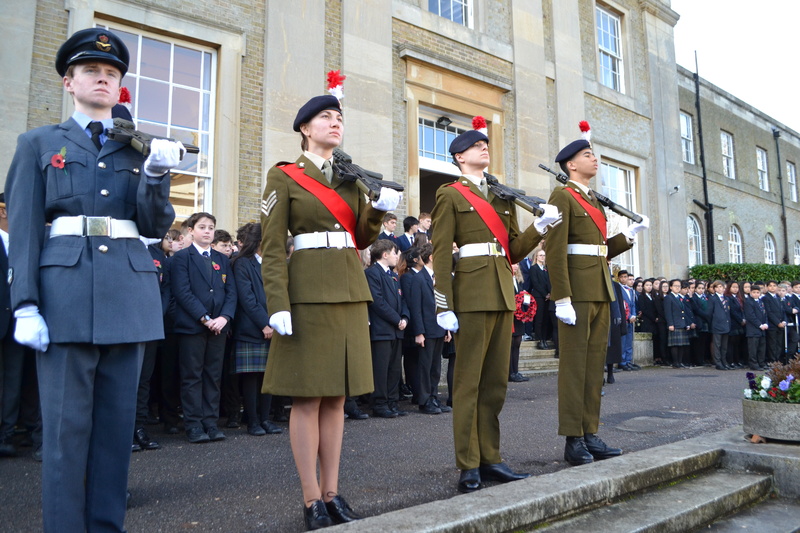 Today Pupils, Staff and Governors of Mill Hill held the traditional remembrance service to pay respect for those who gave their life so we could live ours. 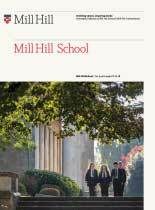 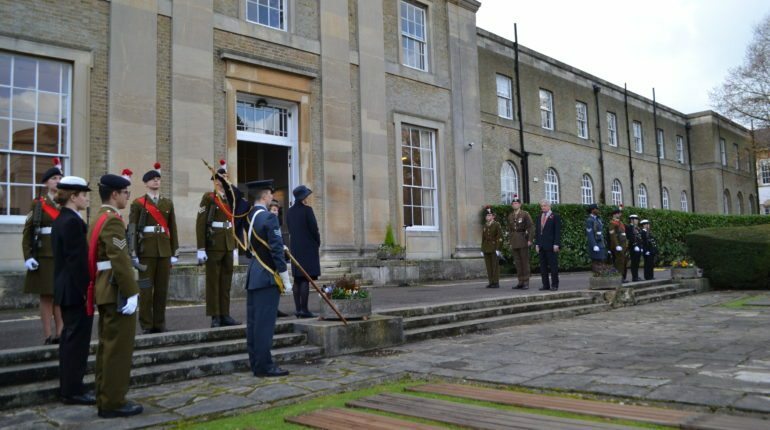 All teachers, governors and pupils lined up in front of the Gate of Honour which lists the names of Millhillian Alumni who lost their lives in wars from WW1 to the Falklands. 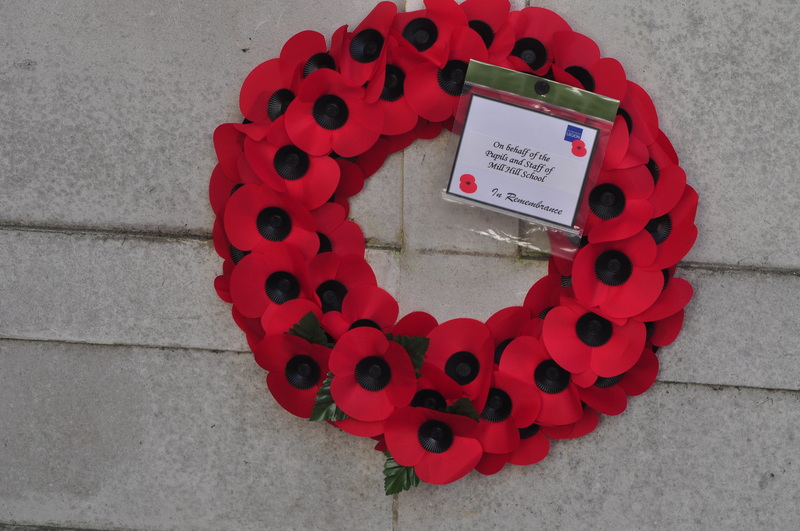 After a speech by our head Frances King, a two minute silence was held. 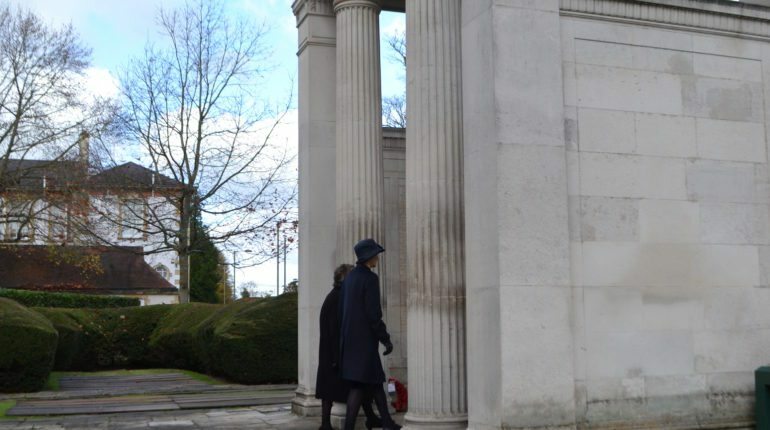 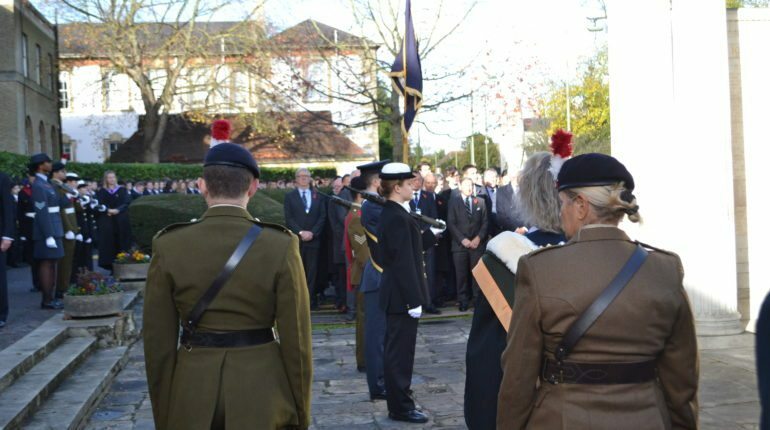 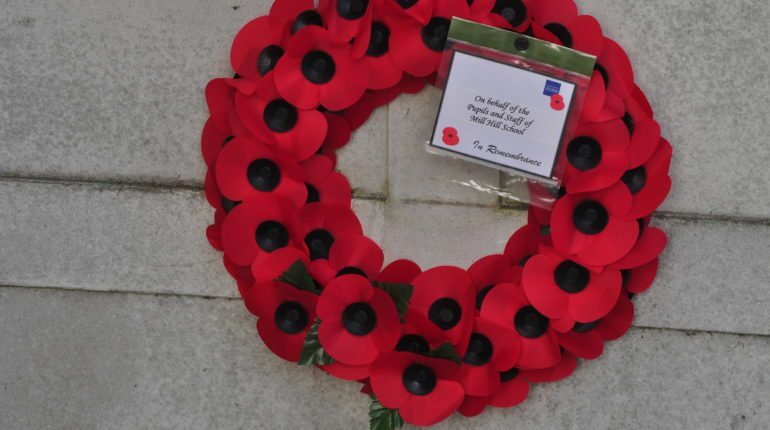 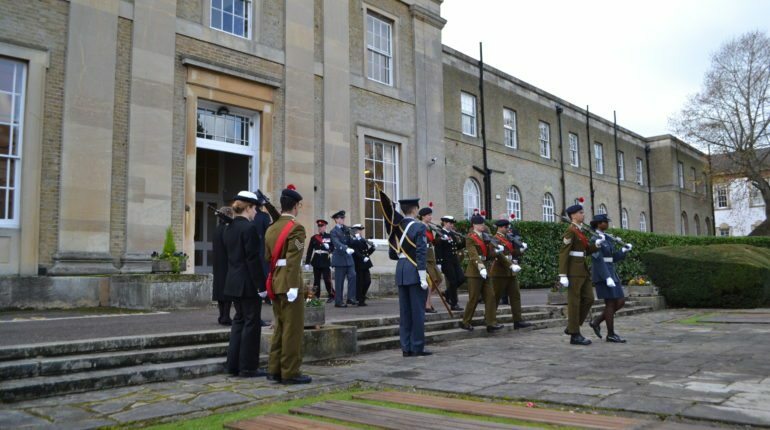 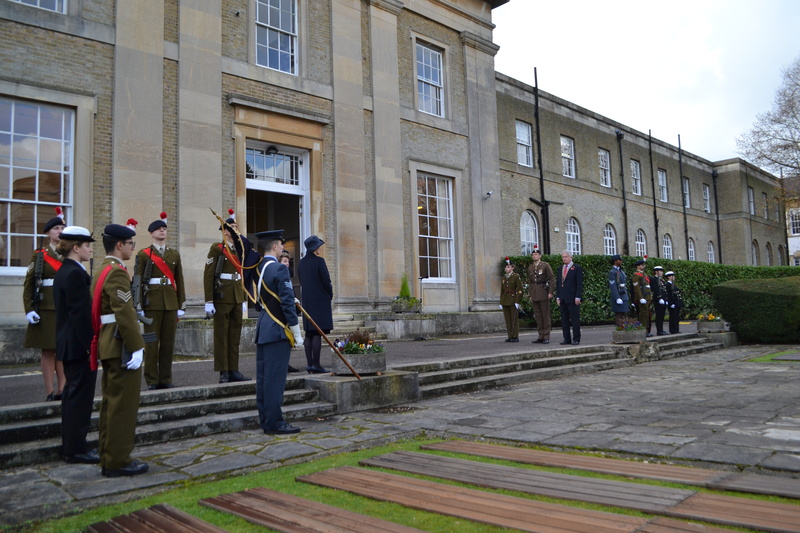 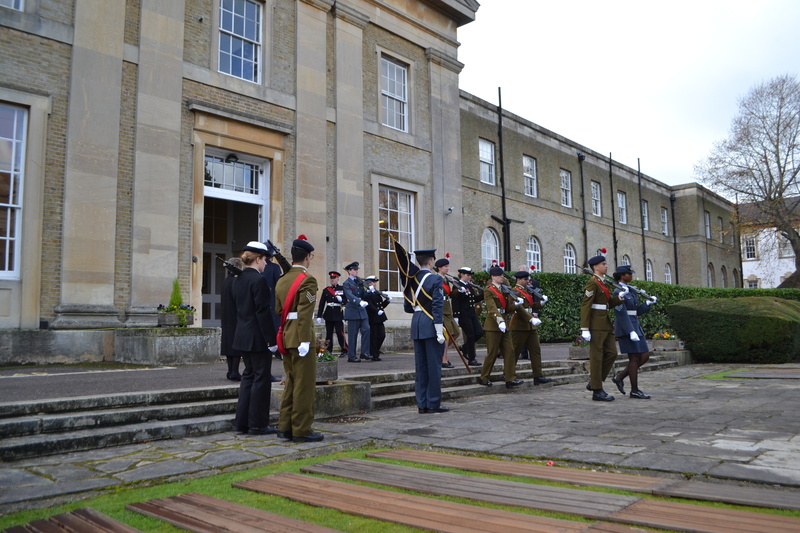 This was followed by Frances King, Amanda Craig (Chair of the Court of Governors ), Representatives of the CCF and students placing wreaths around the gate. 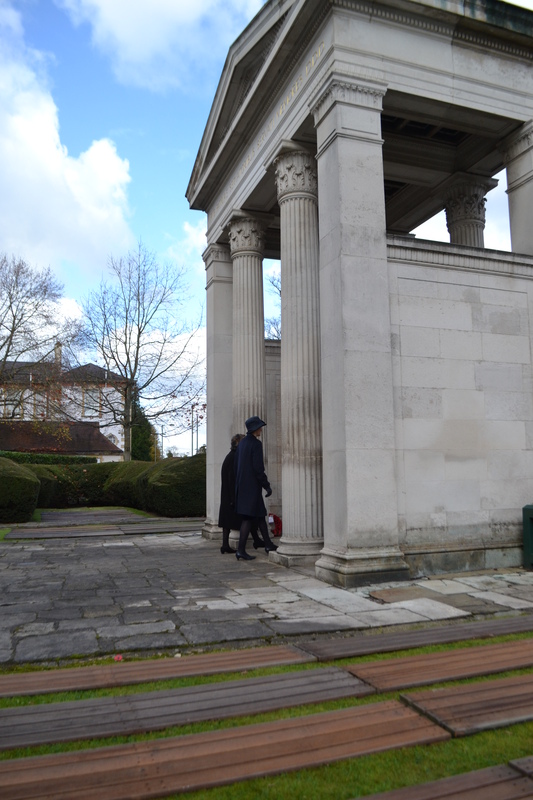 The ceremony concluded by all who attended walking through the gate. 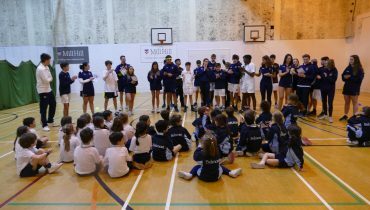 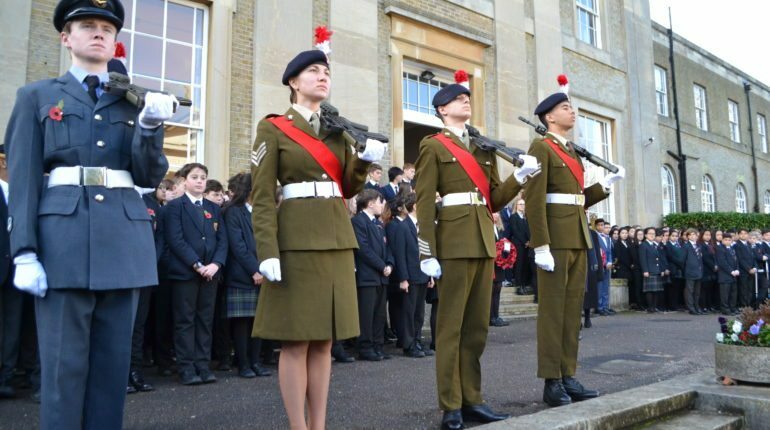 A service was then held for the students to attend after the remembrance ceremony.